Cowboy crafts for kids can be used for activities at themed birthday parties, Sunday school lessons, or during arts and crafts time on a rainy day. Most children love cowboys and the symbols surrounding them. If you need some ideas for western crafts, you have come to the right place. Painting is a great craft because not only does it allow the child to be creative, it also allows tactile play. For preschool children, finger painting or stamping is the perfect way to create without worrying about frustration due to fine motor skills that have not been developed yet. Cutting and pasting can also be fun. Younger children will need help with cutting and pasting crafts, and you should plan on having at least one older helper for every three children. What is more western that branding cattle? This is a great craft to help learn letters, numbers or shapes. Cut brown paper out in the shape of a cow. Cut a potato in half and cut a shape into the raw potato flesh. You can use letters, numbers, or whatever simple shape you like. Place the potato cut side down in a bowl that has tempera paint in it. Stick a fork into the bottom of the potato, and pull the potato out of the paint. Press it firmly on the cow shaped paper. Cowboys slept under wide, starry skies while on the long cattle drives. Your kids can emulate those starry nights with this project. Dip the star shaped sponges in the paint and press gently on the black construction paper, creating as many stars as you like. Certain items of clothing turn any child into a cowboy. A vest is one of these items. Cut the paper bag down the center. Cut an armhole on either side of the bag and a hole for the neck. Decorate the vest by pasting on yarn for fringe, adding buttons, or drawing on designs. Few images are more closely associated with cowboys than that of the trusted steed. 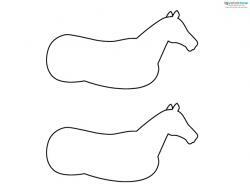 Cut out horse shapes from construction paper, but leave off the legs. Paste on spots for a paint horse and yarn for the mane and tail. Take two clip clothespins for each horse and clip them to the belly of the horse as legs. The horse will be able to stand up. You can't experience the Wild West without a few cacti! Cut a cucumber in half horizontally and place cut side down on a paper plate. 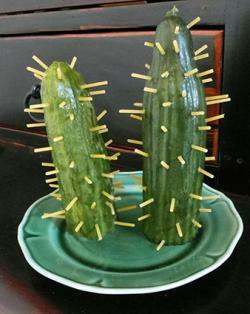 Push dry spaghetti into the cucumber cactus as spikes. You can make unique centerpieces and tablescapes with this craft. If you are looking for more ideas for cowboy crafts for kids, you have many to choose from on the Internet. There are coloring crafts as well as almost anything else you can think of. 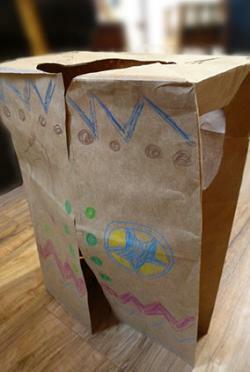 The Virtual Vine has many ideas for cowboy crafts for all ages. Free Kids Crafts has a selection of crafts of all types. DLTK Kids has coloring pages as well as cowboy themed crafts to help with number, color, and letter recognition. Kaboose has cowboy birthday party themes, crafts, and games. Remember that no matter which crafts you choose, you should make sure that they are age appropriate and that you have the help that you need from other older children or adult helpers. 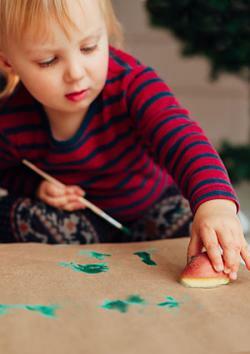 Younger children often have trouble concentrating for long periods of time, so keep the crafts short and simple.